The Government of Montserrat has developed the Economic Growth Strategy (EGS) 2018-2022, which will act as the guide for public investment over the next several years, with the goal of the eventual rebalancing of the economy from public sector driven to private sector led. It seeks to accomplish this by analysing the potential of key sectors that have been identified as the most economically viable with the ultimate goal of long-term sustainability . The EGS ensures that actions are tied to these goals by clearly outlining a delivery plan which details the responsible agencies and time frames for accomplishing tasks geared towards achieving economic milestones. The strategic focus of the EGS is expected to go beyond 2022 as it will dovetail into the development of the new Sustainable Development Plan (2021). Premier Romeo delivered the budget during a meeting of the Legislative Assembly at the Montserrat Cultural Centre where he outlined the spending and revenue expectations for 2018-2019 and highlighted a number of success over the previous year 2017-2018. The local economy is forecast to grow by 2.22% during 2018-2019 and the Government of Montserrat’s aim is to achieve sustainable economic growth of around 3% to 5% per annum over the next 10 years. The budget presentation also highlighted increased in capital expenditure and recurrent expenditure for this fiscal year. The Capital Expenditure Programme increase to EC$33.62 million (EC$7.14 million DFID Funded Projects, EC$24.58 million EU funded projects, EC$1.90 million other funding partners) compared to the $14.95 million dollars spent in 2017-2018. The Recurrent Expenditure for the 2018/19 financial year is one hundred and thirty-one million one hundred and fifty-one thousand three hundred dollars ($131, 151, 300), representing an increase of 2.16% over last year’s figure. A number of sectors were highlighted by the Premier as being poised for growth over 2018-2019. These include, the Mining and Quarrying sector; the Agriculture sector; The Construction sector; Hotel and Restaurant segments of the Tourism sector; and the continued growth of the Festivals are expected to result in increased tourist arrivals. The revenue projections for this fiscal year also show an increase compared to 2 017-2018. The revenue estimate for 2018-2019 is $131.15 million dollars compared to $124.2 million for last year. In addition to the projections for 2018-2019, Premier Romeo also highlighted the advancements made last year. The strategic breakthroughs which were realized in 2017-2018, as highlighted by the Premier included, the signing of the fourteen million, four hundred thousand pounds (£14,400,00) financing agreement with the Caribbean Development Bank (CDB) for the Port Development; signing of EDF11 for eighteen million, four hundred thousand Euros (€18,400,000); the Economic Growth Strategy and Delivery Plan; the approval if the Subsea Fibre Optic Cable Project which will be advanced in 2018, and the progress made in Geothermal Energy Development. The Premier of Montserrat and Minister of Finance and Economic Management, the Honourable Donaldson R. E. Romeo presented the 2017-18 Budget Statement under the theme “Moving Montserrat Forward towards Self-Sustainability and Inclusive economic Growth”. In his opening statement he says the theme reminds us of our vision, to return Montserrat to self-sufficiency, resilient, inclusive economic growth and sound, robust development. So, while we must face the urgent challenges of the moment, we must not lose sight of the long-term vision. - Monday, 12th June, 2017. 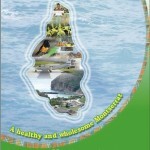 The Ministry of Finance and Economic Management has now released a publication titled ‘Government of Montserrat: Citizens Guide to the Budget for fiscal year 2016/2017. The Guide is intended to speak to the Budget for this fiscal year 2016/2017 which runs from April 2016 to March 2017. The Guide is presented in a simple mode to allow the ordinary man to gain a better understanding of the budget process and the make-up of the current budget. 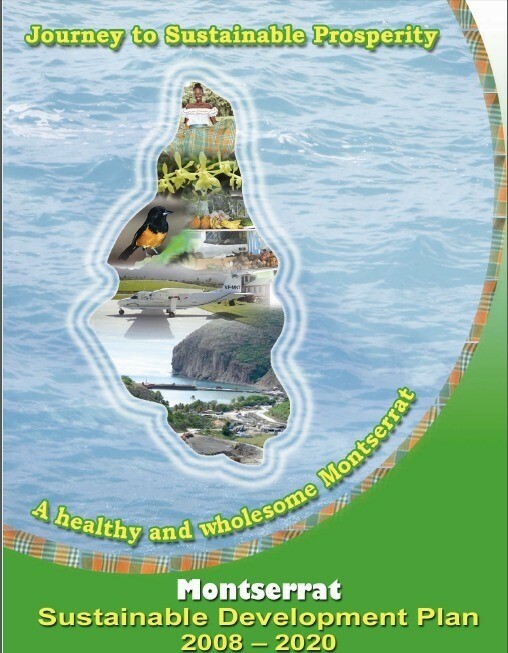 Citizens Guide – Montserrat 2016-2017 is distributed via the Government of Montserrat’s and the Ministry of Finance website, with hard copies available at the Public Library and the office of the Ministry of Finance and Economic Management in Brades. - Monday, 21 March, 2016.